There’s always a gamble when we take on the big things whether that’s starting a family, buying a home, investing for retirement, or launching a business. We become so focused on these “big wins” that we often neglect our personal well-being. What good are these big wins if our body and mind aren’t 100%? I keep thinking about that saying, “Help yourself before you help others”. I don’t feel it’s selfish. I think it’s important we’re in a good place, so we have the energy, stability, and stamina to maximize our time and resources. It’s time to get healthy. Your health is the sum of everything. Finding yourself held back from addictions or spending too much time on one activity slowly eats at time and resources used for positive actions. So, find alcohol treatment or support groups that’ll help you overcome those addictions. Do so, and you’ll find plenty of free time to work on yourself. A greater understanding of the world and its mechanics will improve your quality of life. You’ll find yourself better suited to react logically versus emotionally. This mental stability and understanding will help with all facets of life whether it’s investing and family, or physical health and safety. A lot of you will give up exercise goals because you try to “go all out”. You tell yourself you’ll hit the gym and do an hour or more, suddenly drop carbs, and sweets all in one go. … among other household chores and activities. I guess what I’m trying to say is stay busy. Get up and find something to do during commercial breaks or during credits. Do a few squats or pushups during your 15-minute breaks. All this adds up! We’ve become so addicted to our gadgets we neglect conversations with people across our way. Also, our endless streams of home entertainment made many of us shut-ins. 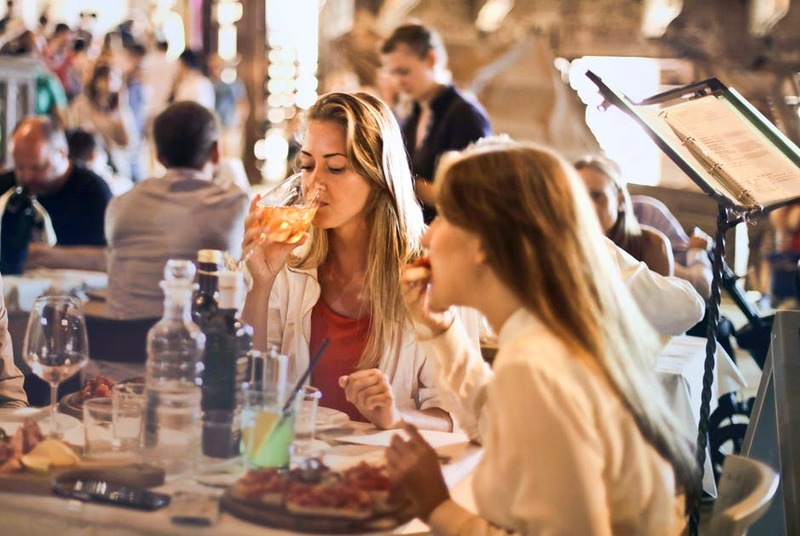 Extensive studies have shown socializing is critical for physical and mental health. Add a great conversation to the mix and you’ll find yourself productive simply because you’re getting new ideas, inspiration, and a break from the lonely isolation. We keep a lot of things bottled up – this builds up and sends us into spirals. What happens when we’re “not feeling right”? I’ve found keeping a journal to be immensely helpful to my health and well-being. I’m able to identify patterns causing my distress. These patterns allow me to adapt and/or avoid those triggers. It also works for positive reinforcement. Plus, reflecting on good times, I’ve found, always improves your mood. Use a simple pen & paper to start journaling, start a blog, or write using an app. There are plenty of viable options worth exploring. It goes to show you don’t need to make life-changing decisions on a whim. Take small actions, instead, so they become part of your routine – where you’re not resisting since you’re seeing progress little by little. Already tried one of these? Share your suggestion for being a better you in the comments below.